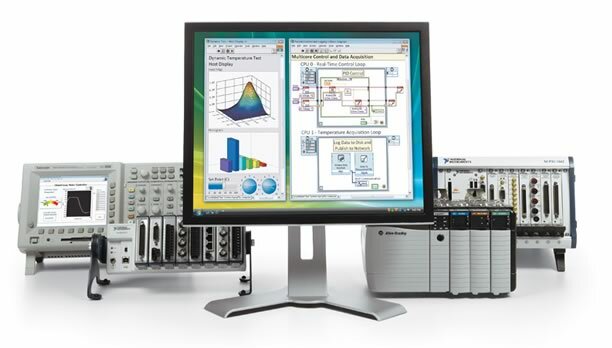 National Instruments NI, a provider of platform-based testing systems that enable engineers and scientists, has further enhanced its LabView 2016 system design software. NI also held once again its NI Days in Bengaluru. NI says it empowers engineers to simplify development and effectively integrate software from the ecosystem into their systems. The latest version of LabView introduces new channel wires to simplify complex communication between parallel sections of code. Available on both desktop and real-time versions of LabView, the channel wire method helps improve code readability and reduces development time. An official from NI says: “The new channel wires in LabView 2016 enable us to develop applications even faster by making architectures that are more transferable across domains. Much of the success that LabView users have had relies on the openness of both the product itself and the ecosystem that supports it. NI says LabView 2016 continues this trend with enhanced interoperability with Python and third-party devices. This openness, combined with several new enhancements, “helps users continue to improve productivity by streamlining code development and deployment”, says NI. NI, the provider of systems that enable engineers and scientists to solve the world’s greatest engineering challenges, today successfully hosted the 13th edition of NIDays – an annual conference on graphical system design – in Bangalore. The event was attended by over 500 engineers, scientists, and experts from Industry and Academia who discussed the trends, opportunities and challenges that lie in the future of connected systems. At the seminar, NI India launched the latest version of its flagship product, LabVIEW 2016, with enhancements in acquiring, processing and managing data from remote data acquisition systems. NIDays offered 21 technical sessions and tutorials along with a wide range of products and application demonstrations. Speakers and exhibitors from various industries joined the event. The diverse set of panellists shared their ideas on trends in communication systems, embedded electronics, security and automated test systems that address the challenges and opportunities for the next generation of connected systems. 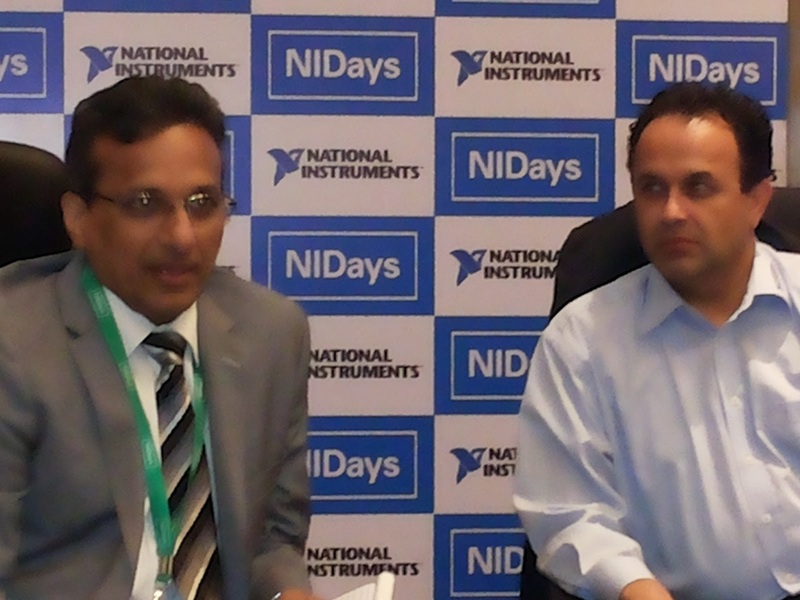 NI’s tools have proven to be instrumental in the success of a lot of Indian customers and their applications. This year, NI added various new products to the list of these toolsaimed at accelerating the productivity of engineers and researchers working in the areas of IoT, 5G, industrial automation, etc. Some of these tools enable applications that previously seemed too ambitious because of their complexities. To accelerate engineering skills development in India, NI also hosted its annual Engineering Impact Awards 2016 aimed at recognizing the most innovative projects based on NI software and hardware and NIYANTRA awards 2016 recognizing the best graphical system design created by budding engineering students. NI’s annual technical application contest – Engineering Impact Awards, enabled NI customers to showcase innovative projects based on NI software and hardware. The contest this year had a total of 40 teams and the winners got a chance to participate in the Global Engineering Impact Awards held in Austin annually during NIWeek. This year, Captronics won in the 'Application of the Year' and 'NI Alliance Partner of the year' categories. They developed an application to determine the location of a bullet on a target system using NI cRIO. National Aerospace Laboratories won in the 'Systems Category' for their design and development of structural health monitoring system comprising of SyncVIEW, DiagnoseVIEW, QuickVIEW for aircraft composite structures. Jawaharlal Nehru Technological University, Hyderabad won in the 'Academic Category' for developing a closed loop control of three phase inverter voltage using NI LabVIEW FPGA and cRIO. In order to foster the spirit of innovation in engineering students and expose them to the essence of experiential education through a contest, NI hosted its annual student design contest NIYantra 2016. This contest, held over a period of six months, helped the undergraduate engineers design their project ideas and convert them into working models using NI hardware and software. This year, NIYantra 2016 witnessed submissions from more than 950+ teams, out of which 18 teams made it to the finals. The results of the competition were announced at NIDays 2016. Sri Eshwar College of Engineering won the NIYANTRA 2016 awards for creating an innovative path detector designed for visually challenged. Teams from Vivekanand Education Society's Institute Of Technology and K.J. Somaiya College of Engineering were the runners-up. The team from Kumaraguru College of Technology was also recognized for their efforts.